Carnivores, brace yourselves: the Food Karma group's Pig Island festival will return to Governor's Island September 10th, and the preview menu alone has us going hog wild. (Sorry, we had to.) Using 80 locally-raised pigs, 20 of New York's hottest chefs will prepare tastings of their signature dishes to be served along with ample amounts of New York State beer and wine. And while we're pretty confident we could go HAM at more or less every booth, we'd have to say we're most looking forward to sampling chef Heather Carlucci Rodriguez's bacon sticky buns (Print Restaurant) and chef Nate Courtland's (Ici) shredded pork salad with escarole, pickled hot peppers, and a chicharrÃ³n gremolata because let's face it: few things in this world get us as amped as fried pork. 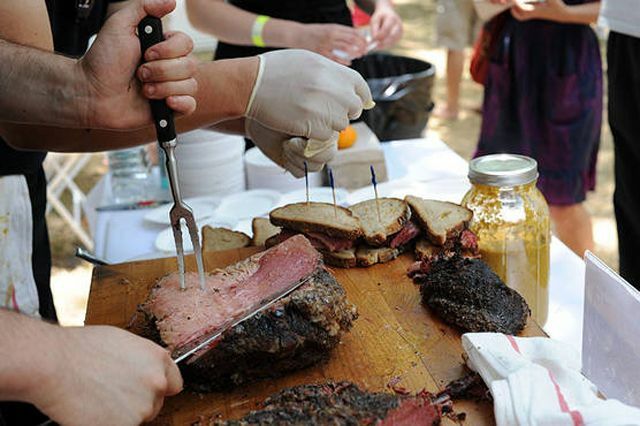 Vegetarians can get in on the fun, too, with reduced-price tickets for those looking only to indulge in a menagerie of mouthwatering meatless sides including bread and butter pickles, mustard slaw and cornbread from chefs Ryan Angulo (Buttermilk Channel) and Jimmy Carbone (Jimmy's No. 43). 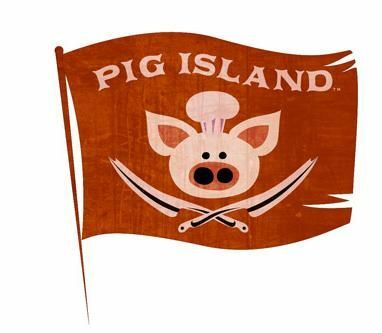 Tickets to Pig Island 2011 ($60 thru Aug 27, $70 thru Sept 10, $40 Vegetarian) can be purchased here.